The America’s Cup is the oldest international trophy in world sport, pre-dating the modern Olympics, the Ryder Cup and the World Cup – and Britain has never won it. The first race was organised by the Royal Yacht Squadron in 1851, the same year that both Reuters and the New York Times were founded. It was a single race around the Isle of Wight, open to yachts of all nations. The prize was a silver Cup that was valued at One Hundred Pounds sterling. The black schooner America won this nascent contest of maritime supremacy, outclassing the rest of the field to be first at the finish line off Cowes. To honour that victory, it was renamed the America’s Cup and became a challenge trophy, open to sailing clubs of all nations. American teams representing the New York Yacht Club successfully defended the Cup against all challenges for 132 years – the longest winning streak in sport – until an Australian team won in 1983. 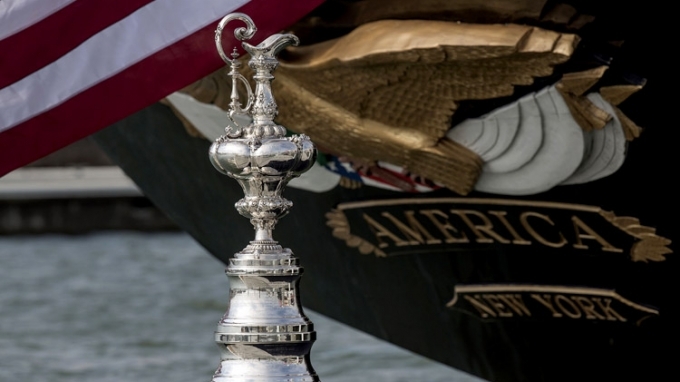 Since then the Cup has become a truly global phenomena, with challenges from all five continents, and held in locations spread around the world – Cowes, New York, Newport RI, Fremantle, San Diego, Auckland, Valencia and San Francisco. TEAM ORACLE USA decided that the 35th match for the America’s Cup would be in 2017. It was raced in 50 foot foiling multi-hulls on Bermuda's Great Sound. Emirates Team New Zealand went on to win the match and the 36th America's Cup will be held in Aukland in 2021.